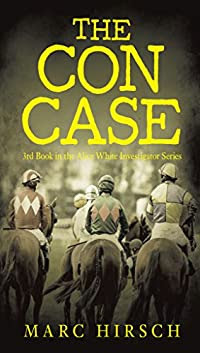 The Con Case by March Hirsh is another superb adventure. Mystery, law, and suspense are displayed here. Alice White is a young woman juggling her academics and career like any other normal human being. But what makes her stand out is the way she solves crimes. She is always fighting crime with determination, strength, and intellect. It was hard not to love her. Alice just has a luring personality that brought me into her story. Marc Hirsh captivated me with his words. I was instantly lost as I followed Alice through another law/criminal case. Danger and threats are sure to follow wherever Alice went. Overall, I recommend this mystery read to all.